Linton is a small, possibly the smallest village in kent, which straggles along the A229 on the south facing hill between Staplehurst and Maidstone . The village provided labour to the quarry which is to be found in nearby Boughton Monchelsea , but has grown up from the 1700's to provide living quarters to the workers from Linton Place. Linton is first mentioned in the 1200's with the manor being part of East Farleigh. The church was rebuilt in 1280 and extended during the reign of Edward III. The village is mentioned in 1314 when the village patronage was given to a hospital for travellers in the West borough of Maidstone by Archbishop Walter Reynolds . The local Inn was built in the 15th century as a watering point for travellers. In 1381 during the Kentish Rebellion the rebels of Wat Tyler marched through Linton to the way to Maidstone gaol, to release their collegues. The following year in September there was a small scale repeat, with Linton and Maidstone being the targets, but this was easily put down by the Crown. Linton Place was purchased by the Mayne family during the late 1500's, they were a family from Biddenden made wealthy by the Broadcloth industry. Their grandson Sir John Mayne took over, and fought with the Cavaliers in the Battle of Maidstone in 1648. The Roundheads ( Parliamentarians ) defeated the Cavaliers (Royalists) and the Mayne family who had given up their wealth for the King had to sell it to Sir Francis Withens, The Withens family held it for a short time then sold it on to Sir Robert Mann in the early 1700's. He rebuilt major parts of the building and estate, and his family in turn held it until 1935. One of Sir Robert's decendants married into the Cornwallis family, which is why the Cornwallis family is recorded in the church. The church was rebuilt by the Corwallis family in the late 1800's. To find the cache, you will have to find the answers to the following. 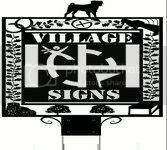 At N51°13.420 E000°30.643 you will find the village sign where you can find the information to the questions below. The cache is located a short walk away. Please ensure that you hide the cache back correctly. Haqre gur zvqqyr FGBAR fgrc.